Paper & Ink Therapy: Has it really been 5 years?! Wow! I can't believe it's been almost 5 years since I last updated this blog. 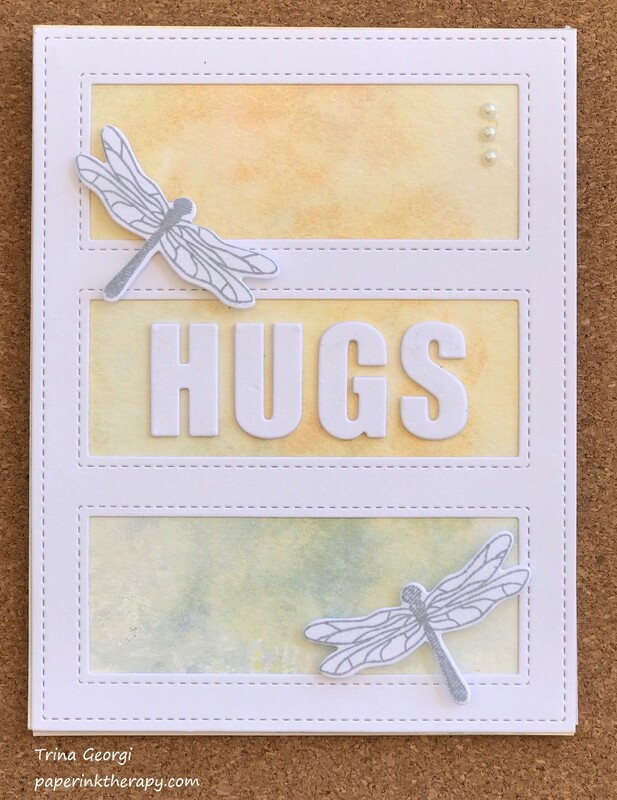 What's ironic is that I read my very first post from 2010, and I wrote that I got into card making, because I wanted to find a project that my son and I can do together, that would teach him how to show kindness to others. Fast forward 7 years, and the exact same reason that pulled me in years ago, has done it again, but with me wanting to show my daughter how to share kindness with others. We recently made and sent over 100 cards for hospitalized kids, and it is because of her, I have found my passion again for making cards. I created the background using Distress Oxide Inks. The border and "HUGS" are from Mama Elephant and the fireflies are from Papertrey Ink (it's an oldie, but a goodie ☺).